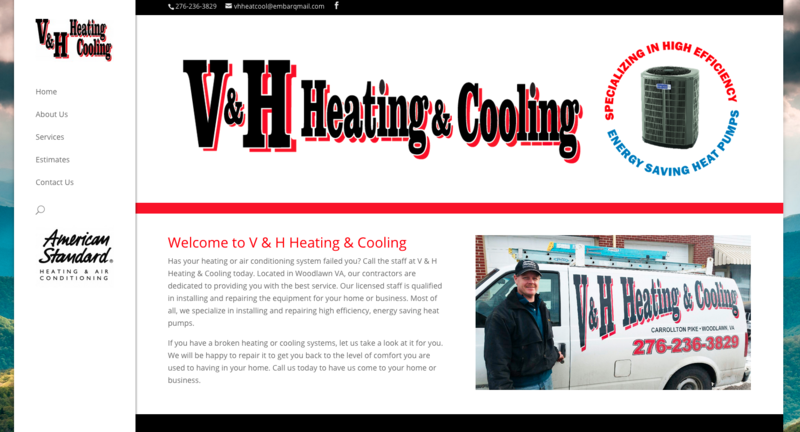 V&H Heating and Cooling was looking for a new look for their website, and since I had already helped them with their business cards, they called on me to help them out. They are a heating and cooling company out of Woodlawn and they service a ton of other areas as well. Take a look at their site for more info.